Quote Reply Topic: Cave spider - arachnophobes beware! 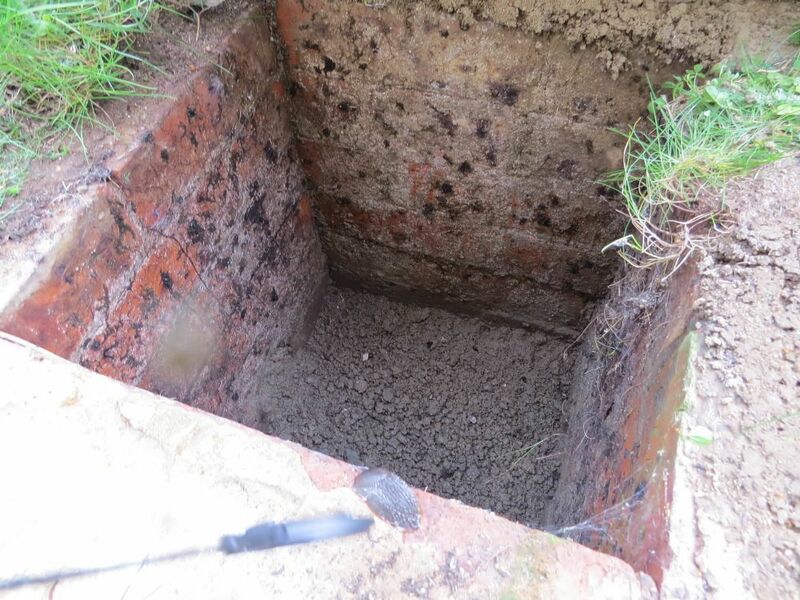 While out looking for herps in a churchyard recently, i lifted a slab to reveal a drainage cavity with 2 big and shiny arachnids inside. I recognised them as Cave Spiders (Meta) by their size (second largest UK spider after Raft Spiders) and their bright, glossy bodies with banded legs. Adult Cave Spiders hate light and live in the total darkness of caves, mines underground cavities (including man-made structures) and hollow trees. However, there are two species so alike they can only be reliably separated by a microscope-wielding expert; Meta menardi and the rarer Meta bourneti. There are few records for either species; NBN currently has 269 for the former and just 20 for M. bourneti. So i had one examined and was thrilled to learn it was Meta bourneti! Prior to mine, for Glos there was only an old, undated record from a different part of the county and another from the Glos/Worcs border in 2005. Needless to say, i'm chuffed! Cave Spiders - keep your eye out for them! Don't tell me you just picked it up? !! Assuming your biter was confirmed as one of the False Widow bunch (Steatoda), i guess you had a particularly bad reaction then? 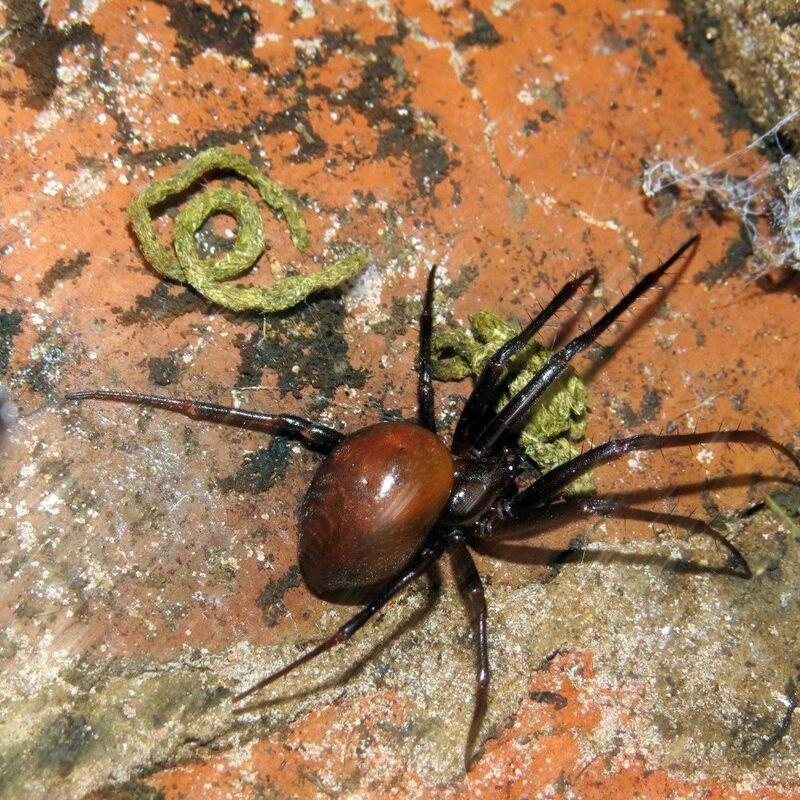 Despite tabloid best efforts at provoking panic with 'Deadly Spider Swarm munching it's way across the UK' type headlines, the scientists seem to be insisting that False Widow bites are usually no more serious than a bee sting. Since few enter their habitat and there aren't many hunting for them either (spiders are said to be massively under-recorded), it might be that Meta aren't so scarce - it's encounters with them that are. Nice to have generated a new record for a beautiful (as spiders go!) species though. It's gleaming body looks like a gem stone. No, although i've seen photos of people with Cave Spiders sat on their hands, i was a bit wary and used the old method of putting a receptacle over it then sliding a bit of card underneath! I was in bed, about 5am felt a small touch to the end of my left thumb and saw a spider scurry off, unfortunately didn't catch it. Didn't think much of it until about 2pm and it started to swell and hurt - a lot! I went to the hospital and they gave me antibiotics, by about 5pm I felt like my hand was being held in a flame. I have a lot of very strong painkillers because I was suffering kidney stones too at the time and they didn't touch this - I didn't mind the pain so much but it didn't subside at all, no matter what I threw at it. For about 24 hours I couldn't think straight, I couldn't believe just how much it was hurting. Eventually it subsided. Came back about a week later for about 48 hours, then two more times over the next month or so. That was last October, I still don't have proper feeling in my thumb or first finger of left hand, and stay well clear of spiders. It wasn't confirmed as a False Widow as I didn't have it, but no-one at the hospitals had seen anything like it before so could only presume based on media reports. Funnily enough a woman I work with was bitten about 5 years ago and she showed me the photos, it looked like her wrist was rotting and she confirmed the pain, I was glad I was only bitten on the thumb. So, my advice is stay away from spiders, no matter how shiny and nice they look! Given your job and location, could it have been an exotic species accidentally imported (perhaps stowed away in some bananas like in every corny story)? Think i read there are around 12 UK spider species that have the ability to bite through human skin (nearly all spiders are venomous). Thanks Will. I wondered - given your enthusiasm for dragonflies - if this post would interest you! that's a beautiful beast ben! Thanks Tim. 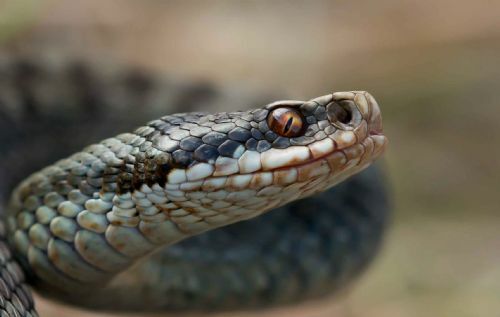 By the way, when are we going to see some more of your fab photos of midlands herps then? Talking of pix, loved those spider ones Will, especially the 'Big Ben' one - what a cracker!